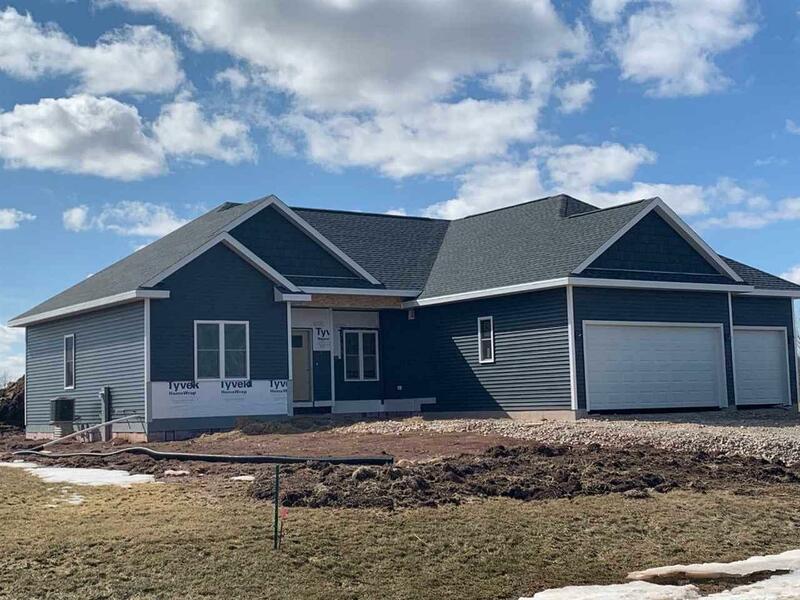 Make this 1714 sq ft ranch style new construction your forever home! 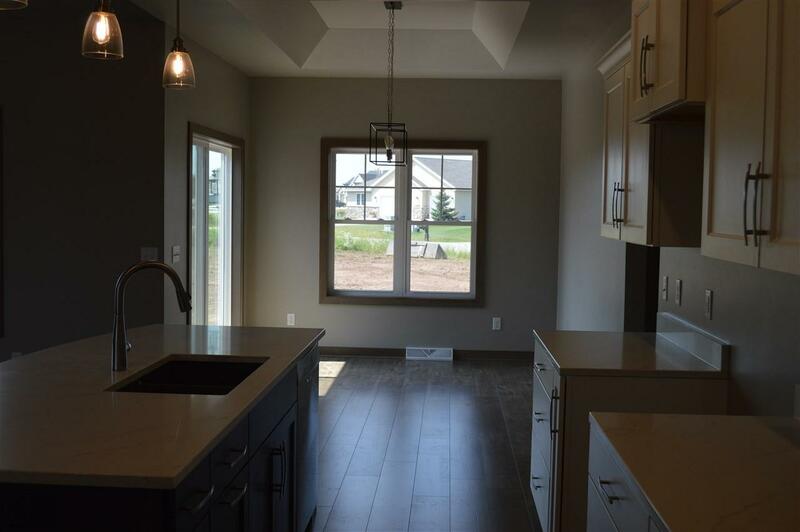 This open concept design allows for unencumbered views of your living area. 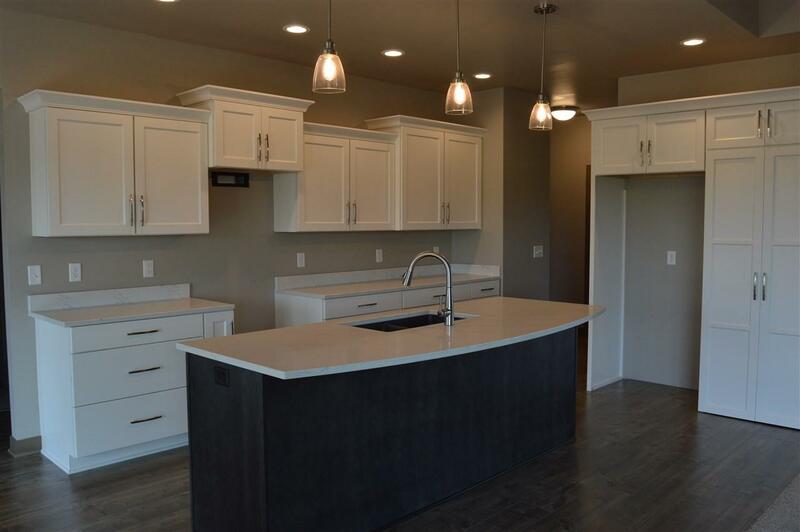 Prepare dinner at your large gourmet kitchen island open to the dining area with tray ceiling and vaulted great room with gas fireplace. 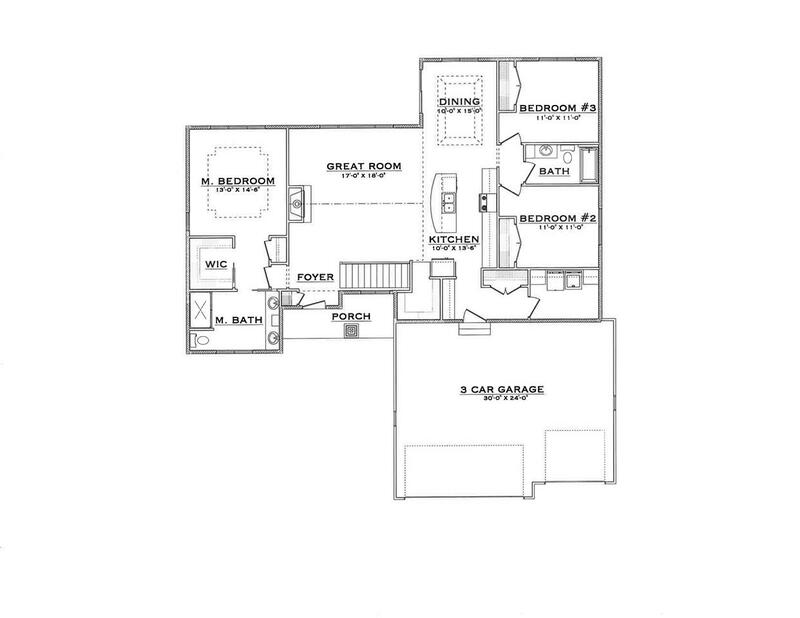 Split three bedroom layout features a tray ceiling master bedroom, walk-in closet and master bath with dual vanities on one side of the home and two bedrooms with a full bath on the opposite side of the home. First floor laundry located off the huge 3 1/2 car garage.